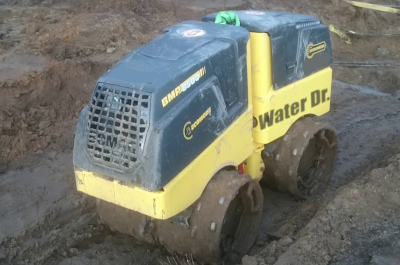 In addition to septic tanks, Water Dr. has a full excavation service. 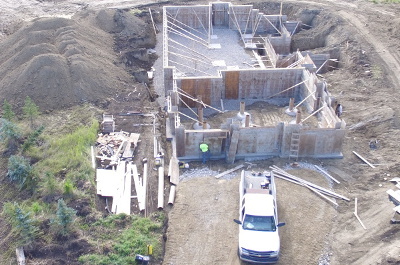 We dig your foundation, build roadways and do final grading on your lot. Water Dr Inc. is one of the leading providers of water treatment services in Canada, trained by the Alberta Onsite Wastewater Management Association (AOWMA) to design, install, and repair all types of septic tank systems. Water Dr. is certified by Alberta Municipal Affairs. We will come to your aid as septic system malfunctions and failures occur. 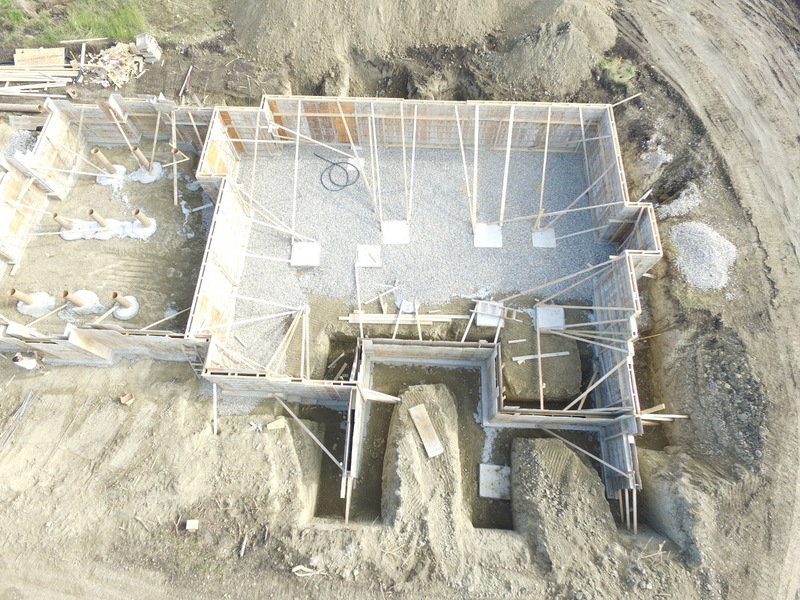 Home improvements, remodeling, and additions also trigger the need for septic system re-design and installation. 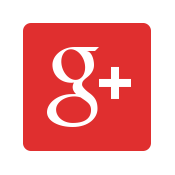 Water Dr Inc. offers you a wide range of expert services to address your specific needs. Water Dr can provide you with either concrete or fibreglass septic tanks. 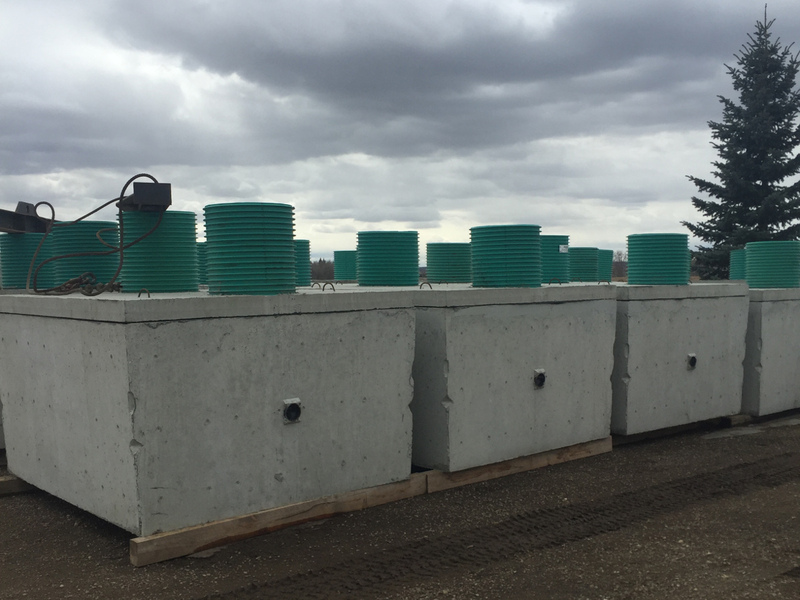 Concrete septic tanks have been the traditional choice in Alberta. They typically last a lifetime if installed properly. Because of their weight, they are less likely to 'float' in areas that have high ground water levels. Fibreglass septic tanks are becoming more and more popular. They will also typically last a lifetime. The advantage of fibreglass is the weight. They can be installed using lighter equipment which does less damage to your driveways and lot. Water Dr. has the experience to properly install fibreglass tanks. They will not move or float if they are installed properly. It is often confusing for builders and property owners to select the correct septic system for their unique needs. 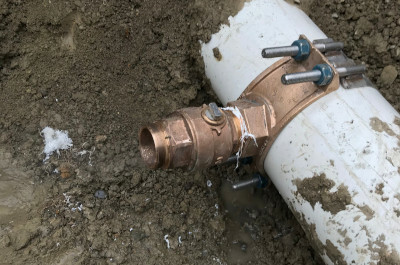 Water Dr will do a free evaluation of your property to make sure that you spec out a septic tank system that will be cost effective and trouble free. Water Dr. is a certified installer for environmentally friendly packaged treatment plants. These state of the art water treatment systems mean that you'll have cleaner effluent at your leach field. The system eliminates the need for unsightly above ground venting. You won't experience any unwanted odours and your system will run longer without expensive servicing. 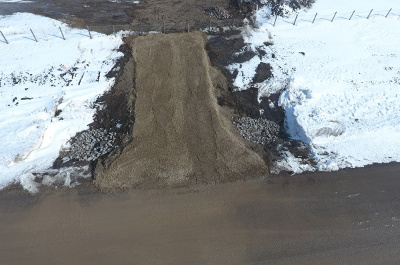 Aerobic treatment units require a smaller septic bed, which is an important feature to many rural property owners. 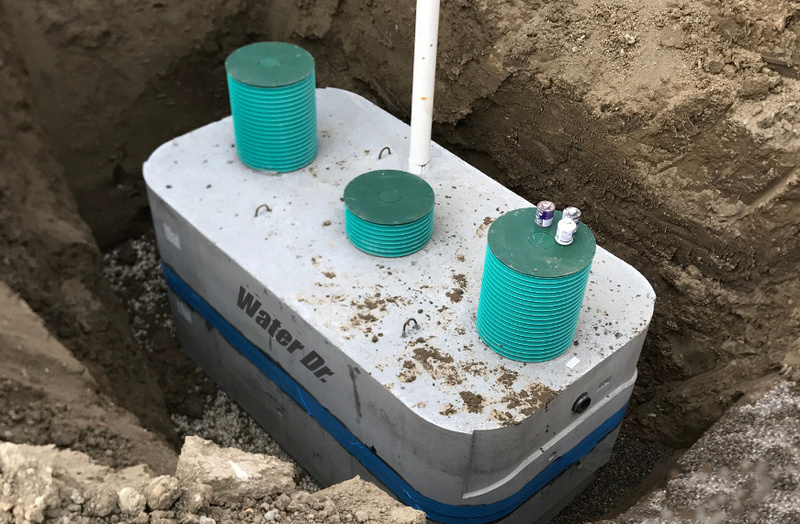 Packaged Sewage Treatment Plants from Water Dr. are certified as meeting the National Sanitation Foundation (NSF/ANSI) Standard 40 Class 1 for Residential Wastewater Treatment Systems. This is a requirement set out by Alberta Municipal Affairs. 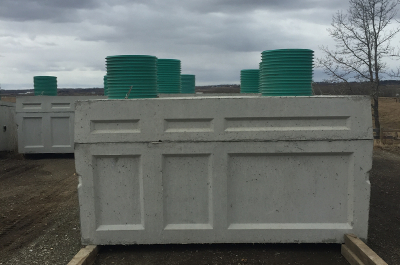 Water Dr can build your packaged treatment plant using either concrete or fibreglass tanks. Water Dr offers you the Ecopod-N from Delta Environmental. The Ecopod-N is an aerobic fixed media treatment plant. It is a robust system that features trouble free operation and ease of maintenance. Delta Environmental is a worldwide leader in residential wastewater management. Unfortunately, septic tanks and septic systems don't last forever. Water Dr. provides an inspection service to diagnose the health of your system. We can help you determine if it's time to replace or repair your equipment. The biggest problem we come across is the leach field failing because solids in the wastewater are getting into the dose chamber. From the dose chamber, solids can get pumped out to your leach field, which causes it to plug up. Solids can get into the dose chamber if one of the internal walls in your septic tank deteriorates. Call Water Dr. today at (403) 993-7867 to have your system inspected. Call us before you put a shovel in the ground. 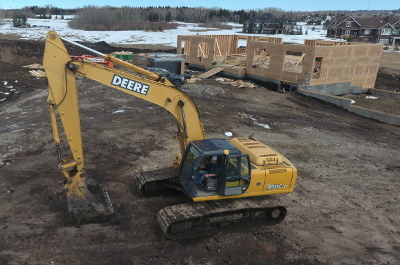 Water Dr. digs test pits on your lot before construction begins. It is important to understand ground water and soil types on your new property to design septic systems. We have saved new homeowners thousands of dollars and avoided the grief of wet basements. We'll also dig your basement, grade your lot for final landscaping and build roads and driveways. Water Dr. is your turn-key solution for building, renovations or repairs on a rural property. We'll make sure you have clean water, a dry basement and an environmentally friendly solution for your waste water. 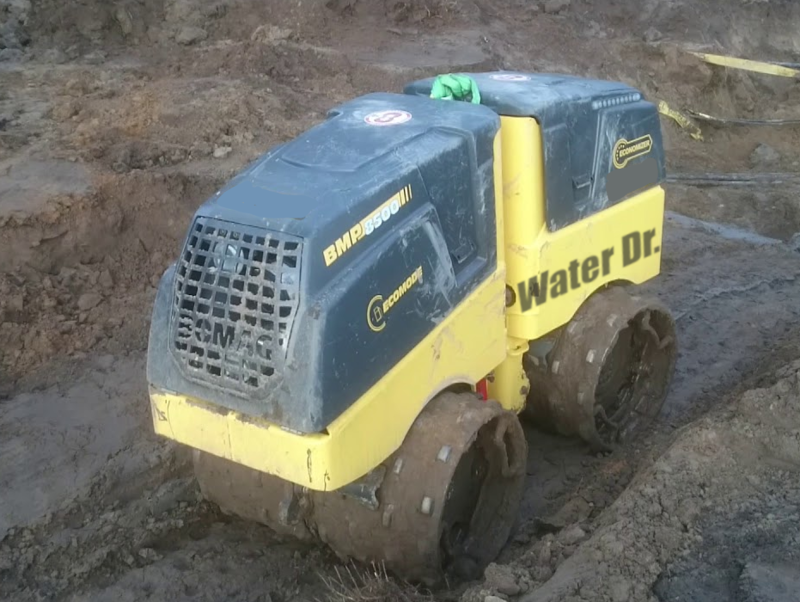 Water Dr. offers complete site preparation including trenching and compacting for underground services. 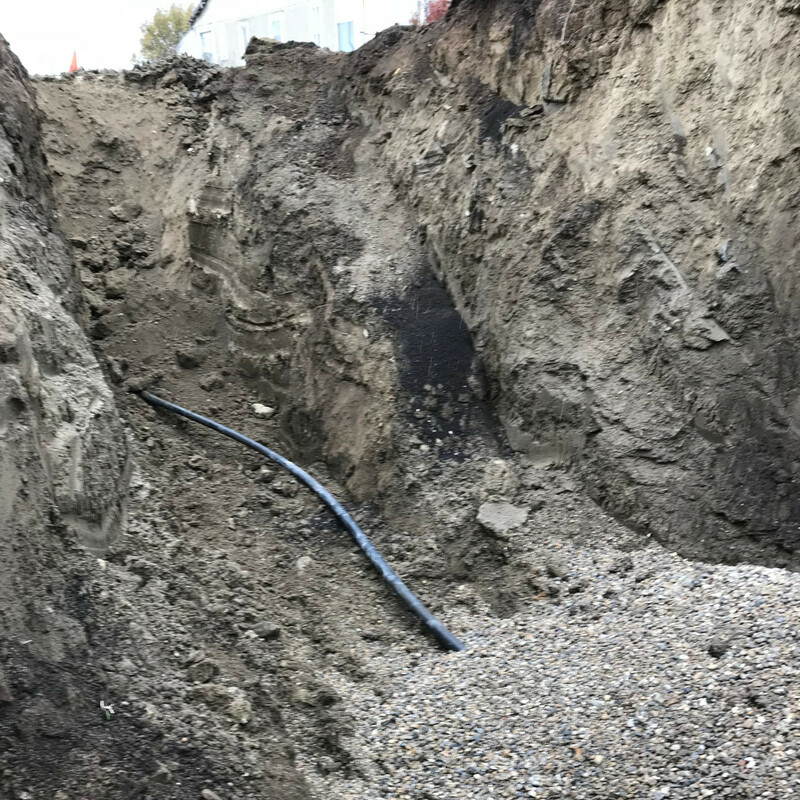 Trenching can be provided for either electrical or water services. 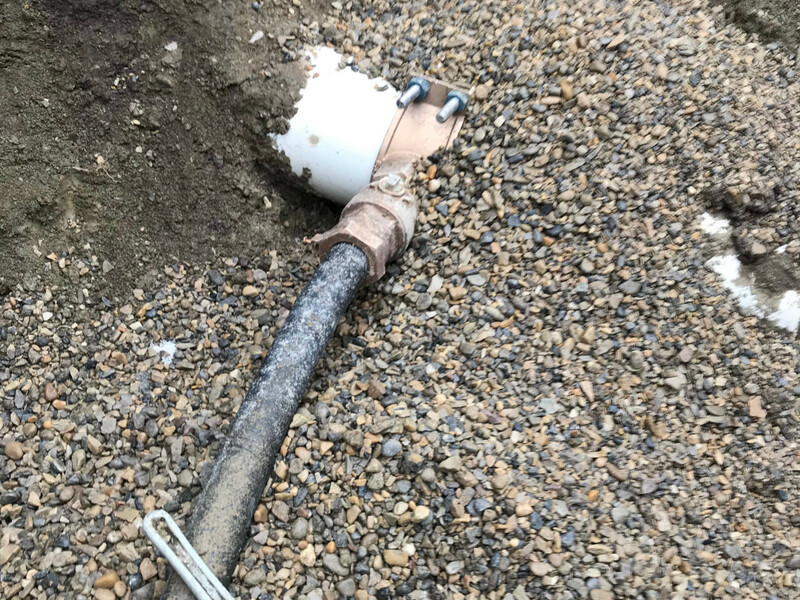 Water Dr. can safely tie into existing pressurized water lines. Hot tapping is the process of drilling into a water line that's under pressure. 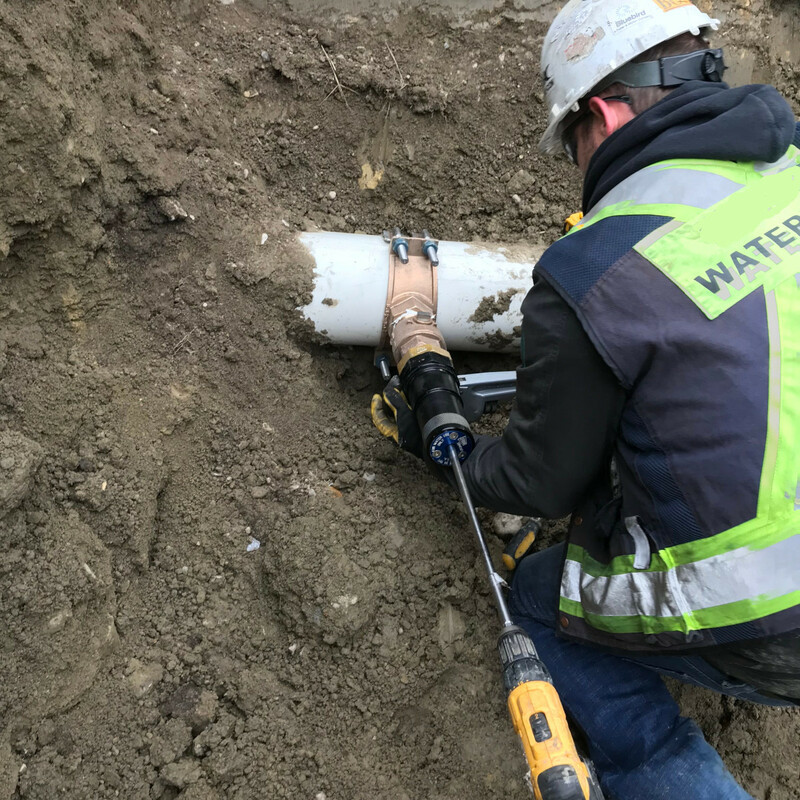 It enables water line connections without having to interrupt the water service to your neighbours. Water Dr. can install and repair the fresh water supply system for your property as well. 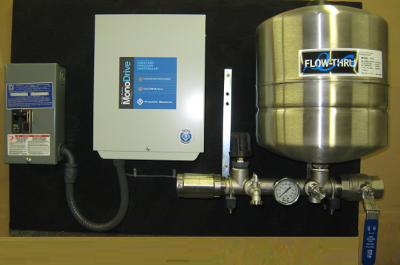 We have extensive experience installing pumps, pressure tanks and water filtration systems. 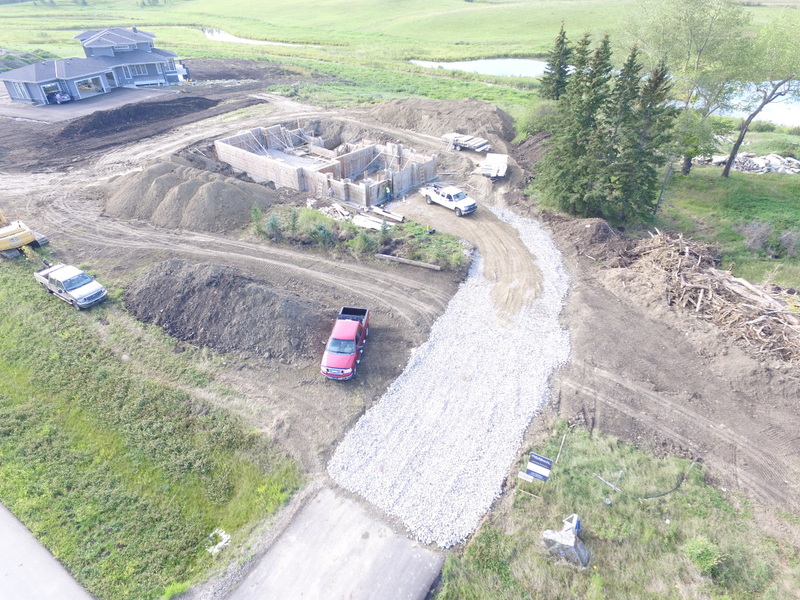 It often makes sense to deal with one contractor for both your water supply and water treatment when you are building a new home on a rural property. Water Dr. provides 24-hour emergency service for water well and pump repairs. Call (403) 993-7867 for emergency service. 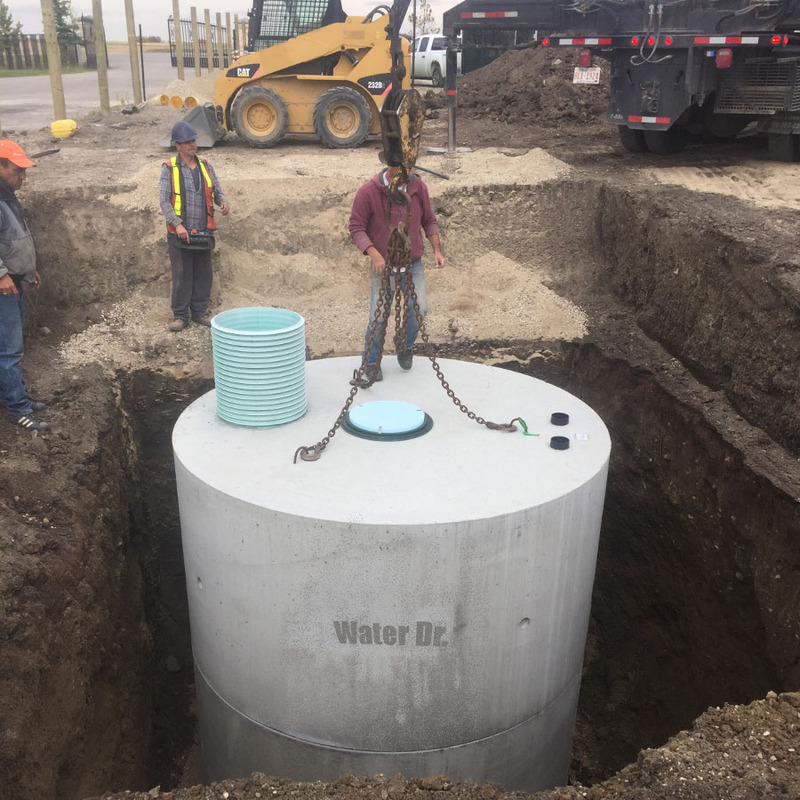 Water Dr. designs and installs water well systems and septic tank systems in Calgary, Alberta and the surrounding areas including: Cochrane, Chestermere, Springbank, Bearspaw, Airdrie, Okotoks, Black Diamond, Turner Valley, Priddis, Bragg Creek and Strathmore.